Can be used in all Antari or other professional fog machines that are 1500 Watts or higher. 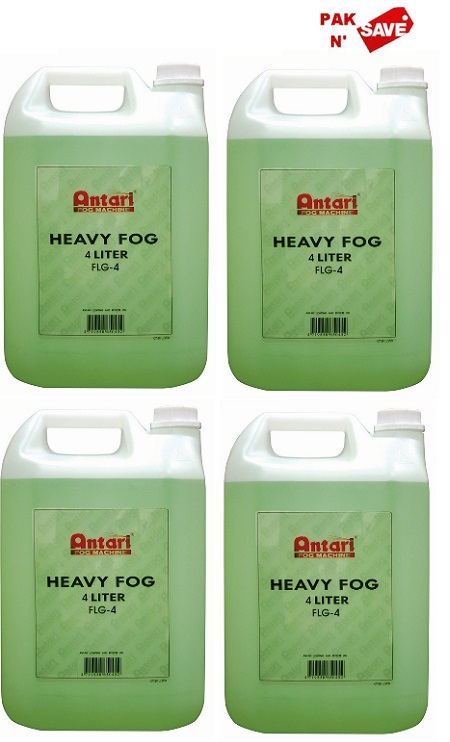 Antari FLG creates a moderately dense and durable fog. 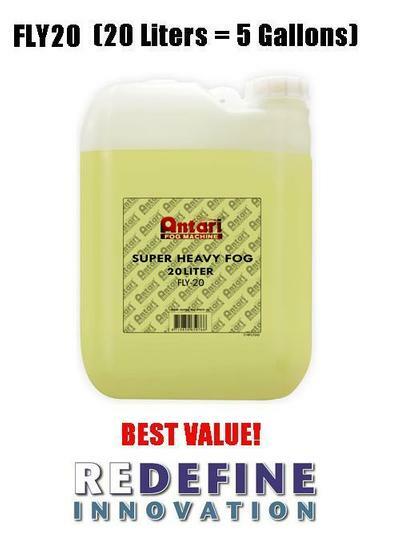 Antari Fog Liquid is a water-based composition that leaves no oily residue, preserving the longevity of your machines. All of the liquids are odorless, non-irritating, non-toxic, and non-flammable. Manufactured with pure - Virgin - Polyfunctional alcohols used by the food and cosmetics industries. Absolutely no recycled raw materials are used in manufacturing process. Manufactured in the USA - Many overseas fluids are manufactured with TOXIC - off spec glycols. All fluids have been certified as NON-TOXIC when utilized for intended use. All bottles are foil - heat sealed preventing any possible fluid leakage. All cartons are heavy duty - double wall construction approved by UPS, FEDEX & AIRBORNE.